The Klip Gallery for Facebook provides key information on your Facebook company page. Please note that you can only retrieve data from a Facebook business page, and not a personal account. Choose a Facebook Klip from the list. To create a new OAuth token, approve the Facebook permissions by selecting Okay. Note: OAuth Tokens a way to connect to third party web sites without compromising the privacy of your access credentials. To learn more, see Managing OAuth Tokens. 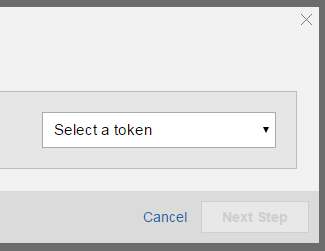 You now have an OAuth token. For example, George @ Facebook. Select your Facebook company page name from the drop-down menu.